Hillary Clinton has written to Premier Michael Dunkley to thank him for his “thoughtful and heartfelt letter” following the U.S. Presidential election held late last year. 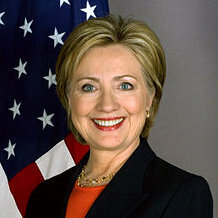 A Government spokesperson said, “The public may recall that on November 9th, 2016, Premier Michael Dunkley wrote to President-Elect Donald Trump to extended well wishes and also sent a letter of appreciation to former Secretary of State Hillary Clinton, in which he commended Mrs. Clinton for conducting a campaign of integrity and civility. He closed the letter by thanking her for her “distinguished service to the people of the United States”. She had no message! She did not rally her followers. Lead, follow or get out of the way; Trump and his band rolled over her. She was the best potential presidential candidate they will ever have. The next four to eight years should be very entertaining. With de help of Russian hackers,so Trump can make America white again….I mean Great with de appointment of Wall Street thugs which some have been accused of racial discrimination. We’ll never know what the outcome of a Sanders/Trump battle would have been. Some people are blaming the DNC for stacking the deck in favour of Mrs Clinton in the first place. Trump still would have won. The Russians would have made sure of that. Proud of her campaign? What planet is she living on? Too bad Obama cant do another term, because this clown thats taking his place aint got a clue. Well goes to show you that those who voted for him dont either. You and the PLP are Bermuda’s Trumps. You stance on gay rights, immigration and race relations align perfectly with the Republicans and the religious right. Everything Obama stands for, on those topics alone, is what you vehemently oppose. So stop pretending you support Obama. You are what you profess to hate. Nice Olive Branch. That’s how you play politics folks. Cool and calm. If she had stepped aside for Bernie Sanders, we wouldn’t be in this MESS! That’s pretty funny. You sound either woefully uninformed or extraordinarily bigoted. If you think Trump has his country’s best interests at heart, I ‘d like to sell you the swing bridge – gently used. What nonsense! We get involved in other peoples’ politics at our peril!